The main goal for this area was to create a multi-purpose room to suit the needs of the whole family. This space is primarily used for watching sports and movies, playing cards and billiards, and hosting casual parties. 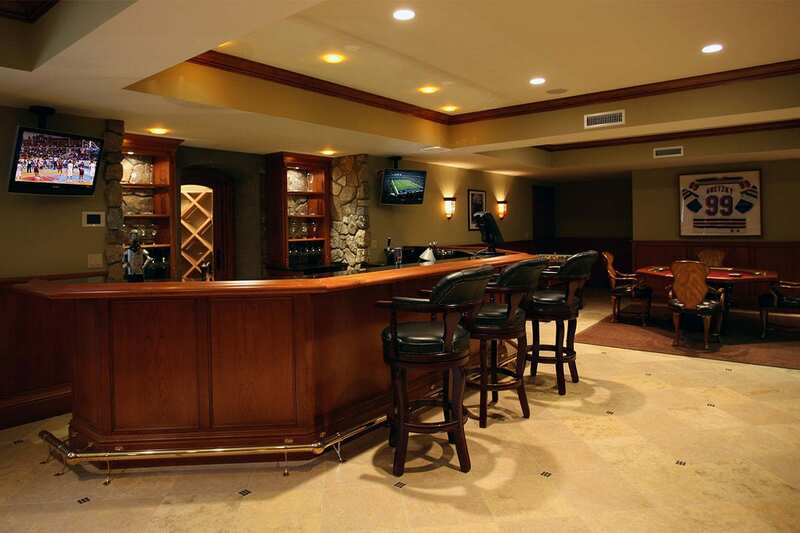 The project encompassed integration into an existing whole-house audio system, a home theater with surround sound and independent televisions over a bar area. 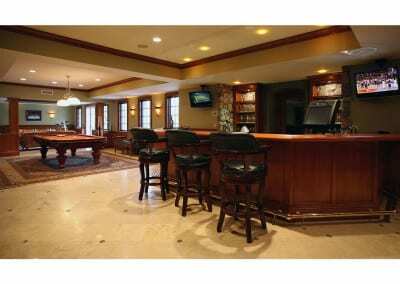 We transformed the client’s walk-out basement into the ultimate fun room. 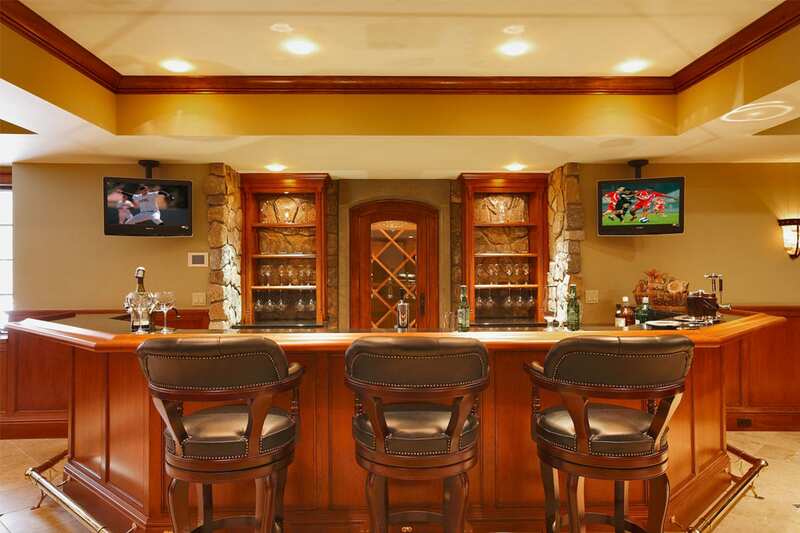 The client, an ex-college football player, wanted a combination of an elegant sports bar, home theater and billiard room. He and his son enjoy watching sports on multiple high definition screens, while his daughter is partial to hosting movie nights with friends. Everyone in the family loves accessing music anywhere in the house. 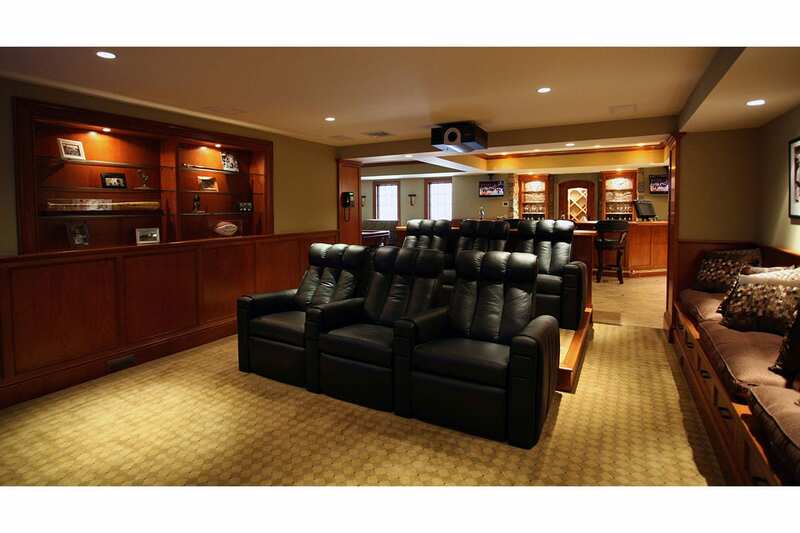 The control system consists of a home theater with a state-of-the-art Runco projection system, Triad speakers and Denon surround sound electronics. 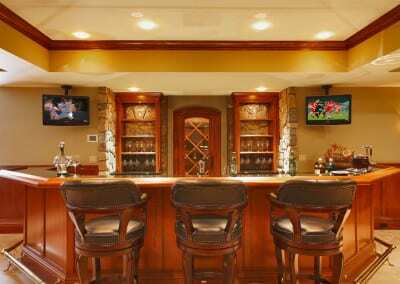 We also included four additional small flat panel LCD televisions, all with separate satellite receiver feeds. 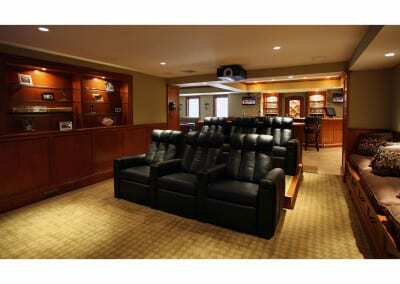 This allows the sports enthusiasts in the family to watch five different games simultaneously. 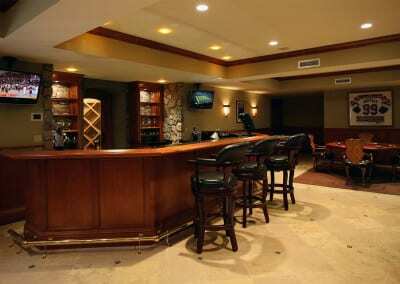 Speaker sound can originate from the TVs around the bar, as well as the big screen in the theater.